Geniebelt’s Anastasios Koutsogiannis and Nikolaj Berntsen describe how Blockchain – the technology everyone is talking about – could impact construction. The discussion about the potential impact of the Blockchain on the construction industry is getting more and more intense lately. It’s true that it could help the industry in a number of ways if used smartly. However, there are still many steps that need to be taken before we can claim the Blockchain is a vital part of the building process. Before we analyse further how the Blockchain could affect construction, it would be a good idea to provide some insight into what it actually is. The Blockchain technology dates to 2008, as a result of the endeavour for establishing a digital currency. The cryptocurrency called Bitcoin is probably the most representative example. The Blockchain is a new way to store and record transactions. To put it simply, we could define the Blockchain as a peer-to-peer controlled distributed transactional database. A digital ledger where different types of agreements (eg contracts, financial transactions) are recorded and confirmed as completed. Its main difference to traditional databases is that it lacks the need for a central authority. There is no middleman, such as a bank transferring money or a lawyer to confirm the conditions of a contract. In that sense, there is no single database or company on which it hinges. What makes the Blockchain unique, in terms of data safety, is that every piece of information in this database is “chained” to the rest through a digital signature. This allows for a faster and more secure way of data exchange. In other words, it encourages the exclusion of intermediary parties in a transaction which takes place between two distinct members of the same peer to peer network. The Blockchain is continuously attracting more and more attention due to its incredible versatility. In some ways, it could help construction and add more transparency to every type of agreement and transaction in a construction project. Construction is “the land of disputes” the majority of which are inextricably connected with payments. The Blockchain technology could function as a trustworthy contract administrator by introducing an error-free process based on which the contracts would be both built and monitored. A smart contract is nothing more than a digital protocol built within the Blockchain network in order to implement the conditions of a contract. Every node is containing all the necessary information about the contractual agreement and the conditions under which the contract will be regarded as completed. Smart contracts can help the construction industry to get rid of intermediary parties (eg lawyers) as they function under the if/then concept. If a bricklayer is done with building the wall, then he asks for it to be inspected. If the inspection is successful then the bricklayer is paid. Smart contracts can cover these if/then schemes. They can be registered on the Blockchain and cryptocurrency can be used in order for these contracts to be collateralised. In a nutshell, more direct transactions can be encouraged through smart contracts. Nevertheless, the question, why the Blockchain is a necessity for a process like that to be established, remains. The Blockchain could optimise significantly the project workflow and enhance collaborative working. More analytically, it could incentivise transparency during the construction process and push project members to perform better. Increased transparency signifies increased accountability and a better control of the project in general. A more open building process will eventually lead to a better alignment of industry and client interests while minimising disputes and risk. If we take into consideration the way in which construction is structured today (many joint projects, shared equipment etc), we can see that the Blockchain could allow for a faster and more data-driven decision-making process, similarly to what it’s already done with the use of construction software. On top of that, updates about the project could be delivered to everyone in real-time (eg delivery of materials on site). This would considerably decrease project delays and the need for rework (30% efficiency rate - 10% rework in construction at the moment). The implementation of BIM technology might also be more effective thanks to the Blockchain. That’s because it heavily relies on information peer-to-peer networks. Additionally, the instant updates to every single team member would encourage the creation of a “Panoptican effect” where every project agent constantly remains focused on the given tasks as a result of the continuous monitoring of progress. This element can allow for a more up-front approach in terms of decision-making and increase liability between the various parties. As a continuation of the discussion about smart contracts, the Blockchain could boost collaboration and transparency with the use of bitcoin for construction. According to Construction Manager magazine, there are already two projects, initiated by DotBuiltEnvironment, towards that direction: the ConstructCoin and the TraderTrasferTrust (project banking app). Regarding the ConstructCoin, the project is mainly focusing on the production and proper management of data related to construction. Similarly to the bitcoin, a reward will be introduced for anyone who generated construction information. 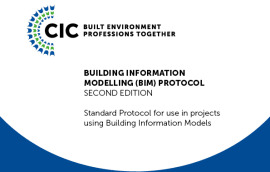 As Neil Thompson (CEO of dotBuiltEnvironment) explained at CM magazine: “A spreadsheet of construction information might include a line for data that costs £1 to produce, which the client could buy for £2 when it is completed. This approach could do a lot to incentivise collaboration”. As far as the TraderTransferTrust app is concerned, the main idea is to put together a system that could digitally provide valid proofs of task completion and based on these proofs it will be able to trigger payments. A precise “pay as you deliver” method. With more than 60 participants at the moment, the Construction Blockchain Consortium initiative has the potential to pull great weight. But so far it is mostly a structure to start discussing opportunities. Is the construction industry ready for the Blockchain? Of course, it’s not everything perfect when it comes to the Blockchain and the potential impact that it could have on construction. It’s no secret that the construction industry is very resistant to change. In that sense, the advent of the Blockchain in construction may not be as effective as we might think. In terms of infrastructure and administration systems, construction does not seem fully prepared to embrace the Blockchain. It’s simply not mature enough for implementing crypto-technology at its full potential. We are talking about the least digitised industry where 95% of the produced data is thrown out of the window, according to Klaus Nyengaard, chairman of GenieBelt. It is evident, then, that before we introduce smart contracts, for example, we have to build the right context that will accommodate them. 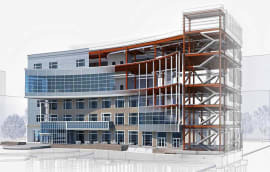 There is a strong demand for the building process to be restructured and come closer to the needs of the supply chain. Only then, we can introduce smart contract technology as a supportive rather than a punishing measure. For instance, one thing that the Bitcoin (or some other established crypto-currency) could do is to cut the invoice payment path. A smart contract could be created involving data generated by real-time project management software, an inspection checklist app and drone imagery certifying that a part of a 3D drawing stands built as designed. Currently, the exchange rates are probably too fluctuating to be interesting for this case, but in the future, they can reach to a stabilised state. It’s not long ago when Mark Farmer’s review of UK construction was published. The title of this review was “Modernise or Die”. A strong but in any case representative title regarding the present and future of construction. Lack of investment in innovation, limited collaboration, and structural fragmentation are only a few of the problems that the UK (and global) construction are battling against. With this problematic situation in mind, it becomes evident that an extensive implementation of the Blockchain technology in construction may not be realistic before we heavily invest in digitization. A representative example could be smart contracts. 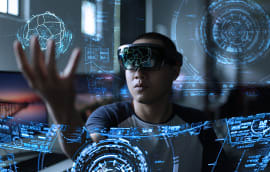 They could be an amazingly useful element for construction if we get to a point where the generation of a building’s real-time digital twin is an integral part of the construction process. That could happen with the help of drone technology and real-time data connected to project and inspection management. The fact that the Blockchain has already a successful application in other industries, such as accounting and Esports, doesn’t necessarily mean that the same will happen in construction. This claim can become stronger if we consider that some of the advantages (eg. real-time project updates, data-driven decision making etc.) that the Blockchain is providing can be acquired without the use of crypto-technologies. In that aspect, maybe the Blockchain isn’t necessary for construction given the way in which the industry is built. In the end of the day, maybe it’s not so much about changing completely the way construction agents work but making an effort to establish an efficient two-way communication channels. All in all, the Blockchain is undoubtedly a very interesting technology regardless of the industry you are in. 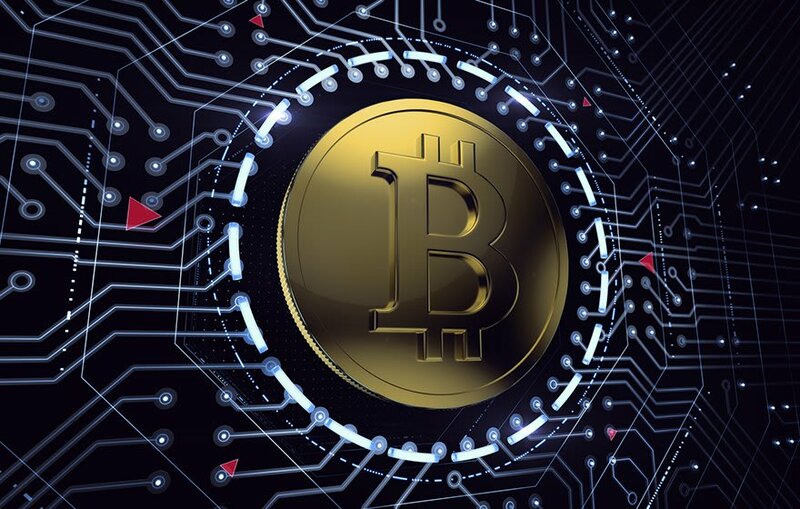 When it comes to construction there are some aspects of it which could be proved to be extremely useful, such as the smart contracts and the bitcoin. Nevertheless, we have to consider whether the construction industry is ready to embrace crypto-technologies and whether it’s all that necessary for construction eventually. Only then, we can be sure that we can take the most out of it. The system seems to have an added advantage as being transparent - no where to hide. 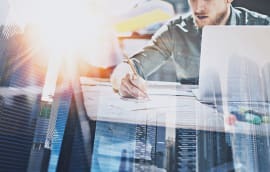 Great read, This is something i am really interested in as a quantity surveyor I believe the blockchain can have a huge impact on the construction industry with procurement and the supply chain between the client and the contractor. Nice paper. Digitalization in CI will only be possible via exstensive BIM usage, as a link between real structure and virtual model of it. 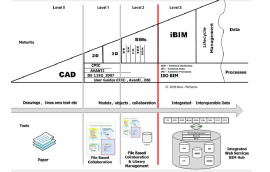 I think we need to connect two areas; design (BIM) + management (BC).